All growing puppies need proper nutrition. However, choosing the right diet for your puppy can be an overwhelming task. There's no denying that buying commercial puppy food is just easier. It's pretty convenient to just pour a scoop of kibble into a bowl or open up a can. However, in the wake of commercial dog food recalls, many pet owners have chosen to prepare their own dog food. Homemade puppy food can save you a little bit of money and allow you to custom-design a diet that fits your puppy's needs. When you choose to feed your puppy home-prepared food, it takes a certain amount of commitment on your part. Make sure you have the time to prepare the food properly and on a regular basis. There's a lot you need to know before you can start feeding your dog an appropriate homemade diet. Is Homemade Food Healthy for Puppies? Like humans, dogs have specific caloric requirements and need certain vitamins and minerals to stay healthy. Puppies have even more specific needs in order to grow at an appropriate rate and thrive. The food you feed your puppy must be complete and balanced. It must also be designed to support growth. One of the biggest mistakes pet owners make when they decide to feed home-prepared diets is not following the right recipes (or, not following a recipe at all). Preparing the right puppy diet is about more than just feeding enough calories. It must also have the proper balance of protein, fat, and calories for a growing puppy. The diet must also contain the right amounts of ​vitamins and minerals. 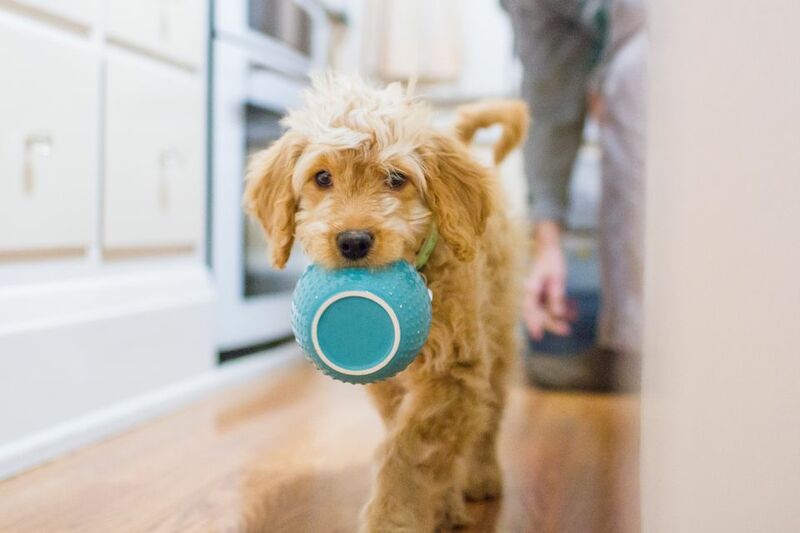 When you begin to develop a home-prepared diet, make sure your puppy gets everything it needs in its diet to keep it as healthy as possible and help it grow. The best way to do this is to consult with your veterinarian. You might even want to ask for a referral to a veterinary nutritionist. Working with a vet, you can design a diet that meets all of your puppy's nutritional needs. Your vet may have recipes for you to use or may guide you to a website like BalanceIT.com or PetDiets.com. These websites have recipes developed by veterinary nutritionists. They can help you decide on a diet that is complete and balanced but also meets other needs. In many cases, you can choose your preferred ingredients or find formulas designed for puppies with specific needs (like large breeds) or health issues (like allergies). In general, puppies need about twice as many calories per day than their adult counterparts. According to the American College of Veterinary Nutrition, a 10-pound puppy that is expected to weigh 33 pounds at adulthood needs to eat about 990 calories per day. 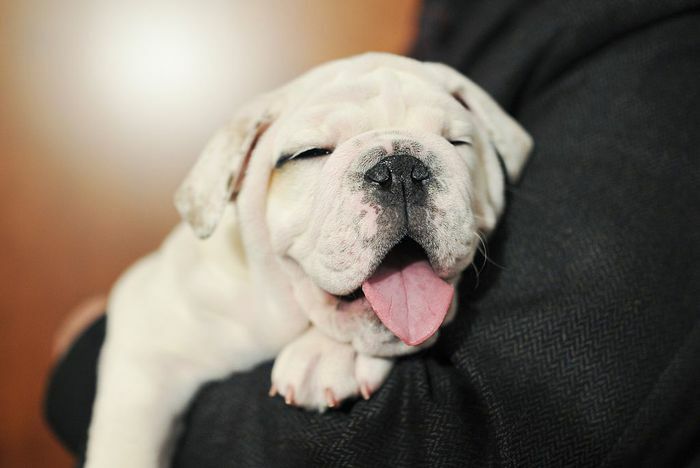 In addition, puppies need more protein, fat, vitamins and minerals than adult dogs. The ACVN has a guidebook for pet owners that explains the dietary needs for dogs and puppies. Once you have chosen a recipe, it's time to prepare it for your dog. Many owners who feed home-prepared diets set up a regular schedule, setting aside time weekly or monthly to prepare and portion the diet. The food can be prepared in bulk and portioned into containers (one container per meal makes it extra-easy). You can keep meals frozen for several months or refrigerated for about 5 days. When the supply of pre-prepared meals runs low, it's time to make a new batch. If you like to feed a variety of foods, you can make multiple batches and color code by ingredients, rotating out the different meals. There's no doubt that home-cooked diets for puppies can be healthy when done correctly, but what about raw food? There is much controversy over raw food for dogs. The AVMA and other agencies warn of the risks of dangerous pathogens in raw pet food. Some other experts see the potential benefits of raw food for healthy adult dogs. However, puppies are a different story. Raw food may contain dangerous pathogens that can lead to illness in people and some dogs. Like children, young animals may not have the immune systems to fight off pathogens found in raw food. If you feel you can safely handle raw food and you are willing to assume the risks, talk to your veterinarian about transitioning to raw food when your puppy gets older. In the beginning, you might choose to offer a combination of cooked and raw foods to see how it works out. Raw diets should never be fed to dogs coming into contact with immune-compromised humans. In addition, raw diets are not recommended for dogs with immune system issues.